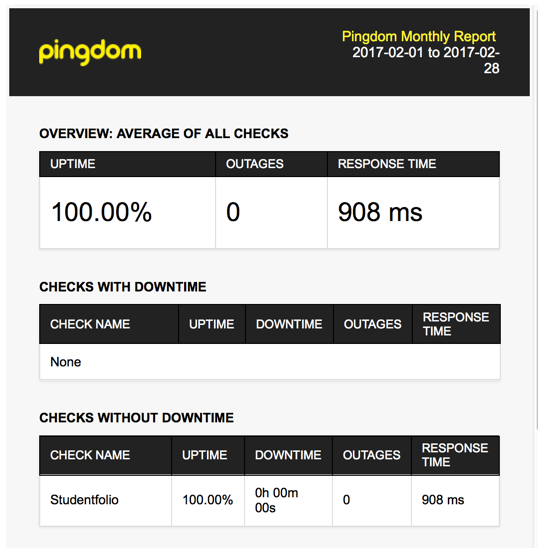 No reported issues in February 2017 from our Pingdom tools. 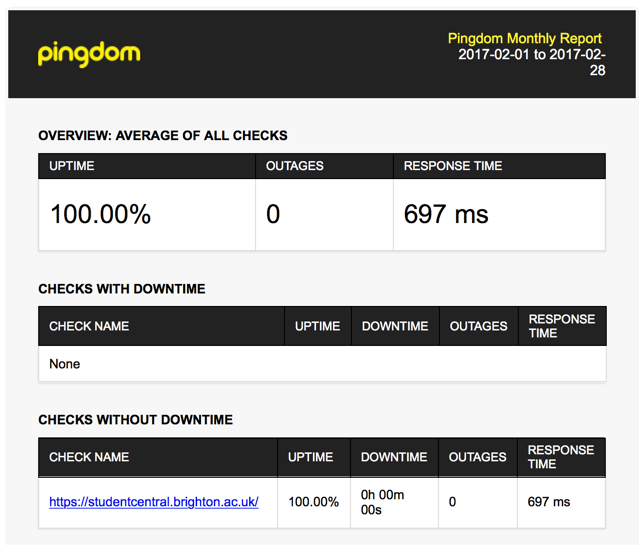 We run Pingdom monitoring on our hosted services, studentcentral and studentfolio. I’m going to add a monthly uptime update, and collate the data as the months go by. 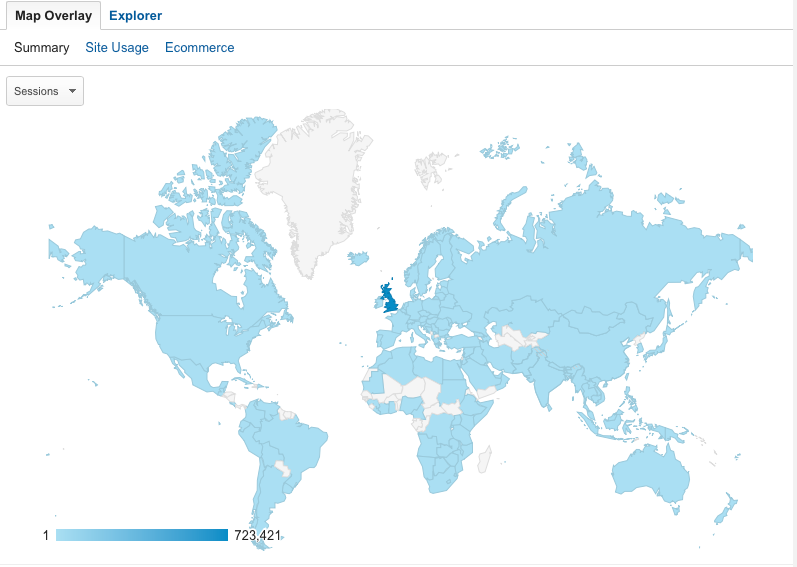 The ping times are filtered on Europe, 97% of our traffic is from the UK in term time, it will be interesting to monitor the spread over the Summer. 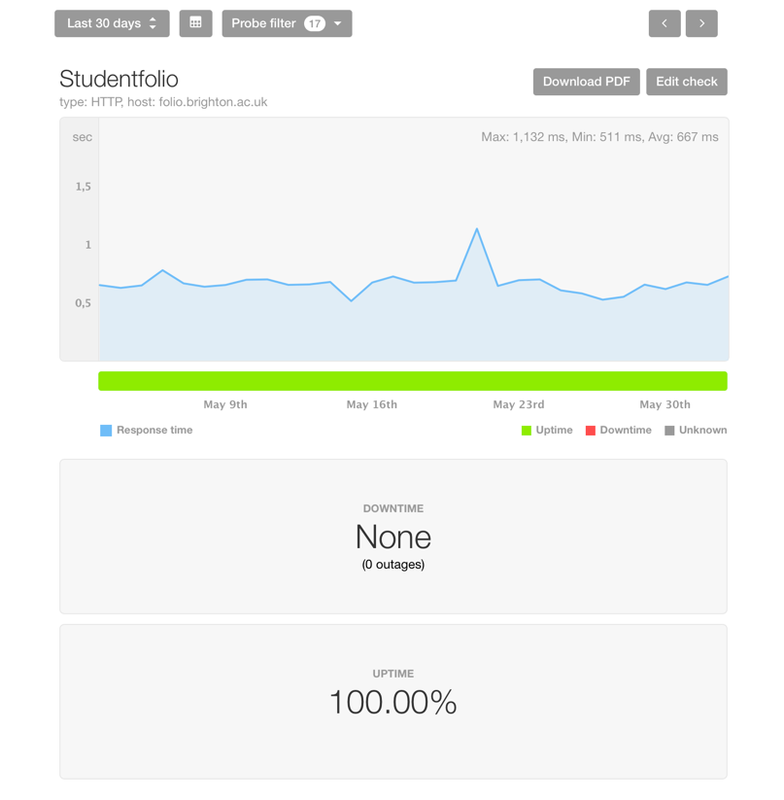 For May 2016 both Studentcentral and Studentfolio have had 100% uptime, which seems a good start, although I’m never convinced of 100% figures. We need to get those ping times down.